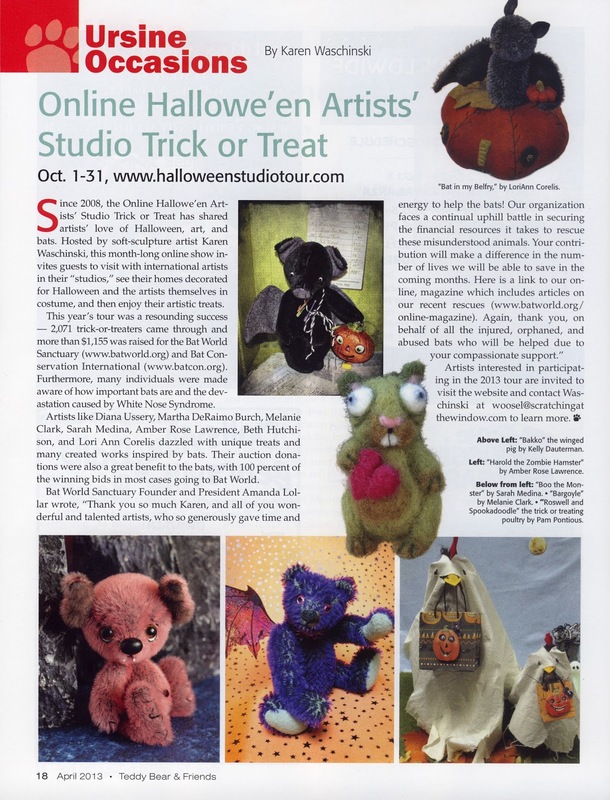 Incredible news: my review for the 2012 Online Hallowe'en Artists' Studio Trick or Treat is in the current issue of Teddy Bear and Friends! And they gave us a full page, all in color! 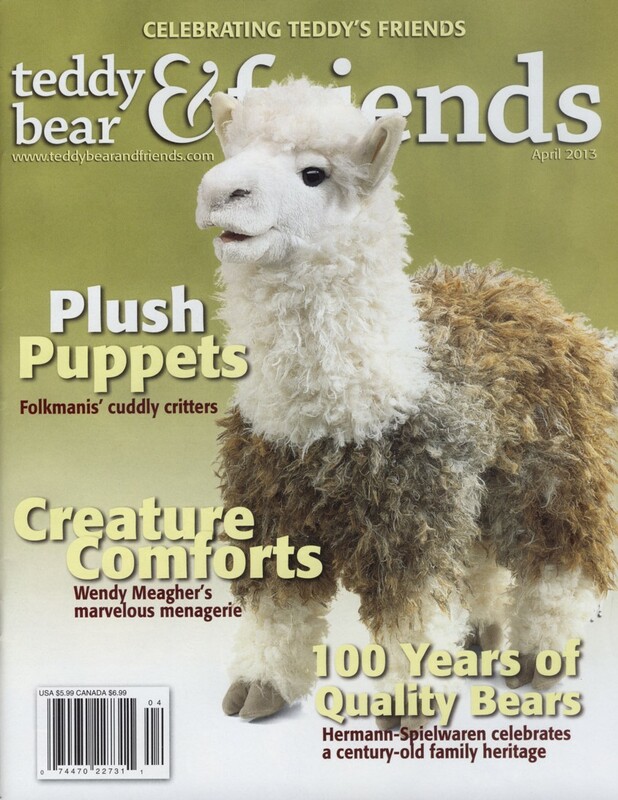 This is such a lovely surprise, I had thought that (when it didn't appear in the last issue) it wasn't accepted but here it is: big, beautiful and eye-catching! 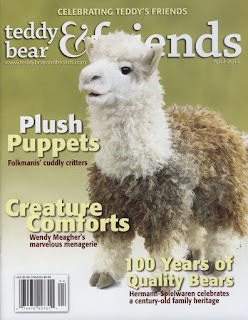 I'm especially pleased that Amanda Lollar's quote is included and that so many artists' creations cover the page! Look at it, gorgeous! I have to admit that the tour's future is somewhat in jeopardy, but this is a wonderful moral booster and what a boon for the bats! Harald the Hamster is adorable, I'm glad they chose him too and included so many photos!